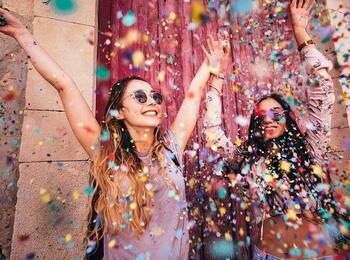 EuroJackpot turned seven years old in March 2019 – and the past seven years have been some of the most exciting and groundbreaking in lottery history. Only seven European countries rolled out EuroJackpot in March 2012, but it has spread to eighteen countries and proves itself to be one of the best lotteries in the world for anyone who wants to be in the running to become an instant multi-millionaire. The reason for the rapid growth of this game, in popularity and repute, is the string of jackpot records it holds. Some of our favourite stories about the biggest EuroJackpot winners make inspiring reading and will put a smile on anyone’s face. In February 2018, a Finnish EuroJackpot player won the entire 90-million-euro grand prize pool – at the fourth time the jackpot reached its maximum value. What makes this win stand out, besides the size of the amount, is that it is the biggest EuroJackpot prize ever to be won in Finland. The country’s national lottery provider, Veikkaus, confirmed the ticket with the winning numbers combination was held by a syndicate of five people from Loimaa, south west Finland. The lucky winning ticket was sold at a small Prismassa supermarket that services the grocery and lottery ticket needs of the town’s 16,000 people. This consolidates Finland’s position as the nation holding the second biggest group of EuroJackpot winners, with 16 wins (Germany has won 18). The big winners’ identities have not yet been revealed. An identity is kept off record if the ticket purchase is not made with a Veikkaus card. Lottery officials would love for the lucky players to reveal themselves, as the store that sold the ticket would like to have a celebratory drink with them! Even though the winners chose to keep their win anonymous, despite the small community in Loimaa wanting to know, it may be difficult to keep a low profile when you have an extra 18 million euros in the bank. This life-changing win is what keeps the participating countries and the players coming back for more ticket sales every week. EuroJackpot participants stand a higher chance of becoming a big winner because the odds are more favourable than any other lottery. Additionally, ten factory workers from a manufacturing plant near Akaa, also in Finland, won a €57.2 million EuroJackpot in April 2014. Buying jackpot tickets in a group definitely increases the chances of winning prizes, as these players can testify. The largest win in German lottery history currently on record was an anonymous man from the Rhineland who chose the lucky numbers in March 2016. He received a jaw-dropping €76.8-million EuroJackpot windfall which was described by the lottery’s managing director as “one big, fat Easter egg”. What makes this big win even more remarkable is that fact that the man only bought one ticket. More proof that one ticket is sometimes all it takes! Earlier in 2016, a person from exactly the same region won €49.7 million—showing that the EuroJackpot lightning sometimes strikes twice in the same place. In the rush to remain anonymous after a hefty lottery win, a Croatian woman still took the time to tell her story about winning, even though she chose to withhold her name. 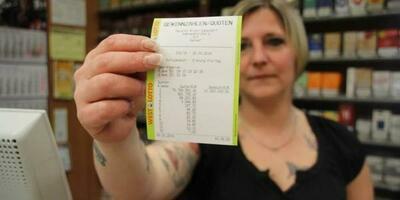 She decided to buy a EuroJackpot ticket in place of playing her usual local lottery. Little did she know that this slight change would impact her life like no other action ever would. She bought the ticket online a scant two minutes before the windows closed. When she went to check the teletext weather the next day, she saw on the front-page news that the biggest EuroJackpot winner in Croatian history was from her area. She checked her numbers on the internet and all the boxes were green. She could not believe what she was seeing. After checking a few more times, it finally hit her—and she found it difficult to know what to do next. After secretly cracking open a bottle of champagne and struggling to sleep that night, the reality of her win really sunk in. Believe it or not, but the new millionaire had no special method and always chose her numbers randomly. Czechoslovakia has only had one big EuroJackpot winner, and he chose to remain anonymous too. It seems a wise move to make when there might be fair-weather friends lurking around. His May 2015 lottery win ranks him as one of the top three biggest winners in the 18 participating countries. All that is known about him is he was a single middle-aged male from Czechoslovakia and is now a multi-millionaire. One of the interesting facts about his prize of €90 million is the amount won registered as the equivalent of £65,5 million in 2015. The German €90 million EuroJackpot winner in October 2016 won the equivalent of £81 million in pounds. The latest €90 million winners in Finland, March 2018, won the equivalent of £79,7 million pounds. Because of these fluctuations in the exchange rates, the Czech winner came off the worst. 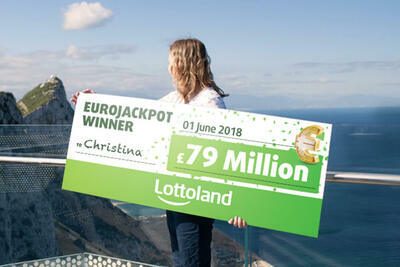 Here’s to You, Christina M.
The EuroJackpot top prize of €90 million was won in June 2018 by a young lady wanting to be known only as Christina M. She has set a record by becoming the biggest online lottery winner in the world because she won the gaming prize using the Lottoland app on her mobile phone. The reason she used the handy app was because she was too tired after her cleaning job to drive to the shops where the tickets are sold. She asked her mum which numbers to choose, and the rest is EuroJackpot history. Reading the stories of the very normal people who had something extraordinary happen to them is truly inspirational. Whether buying your tickets at your local store or choosing your numbers online, the best way to realize your dreams is to make sure you have a ticket for the weekly EuroJackpot draw.